Wendy (Laura Breckenridge) is an aspiring designer and assistant to her callous boss Priscilla (Elisabeth Rohm). 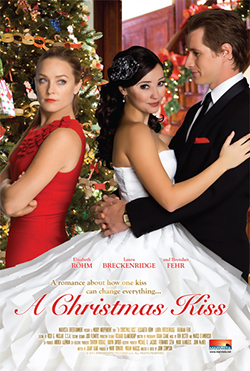 Unfortunately, Wendy's dreams of impressing her boss get complicated when she realizes that the mysterious man she kissed in a falling elevator is Priscilla's boyfriend, Adam (Brendan Fehr)! The plot thickens as they endeavor to decorate Adam’s Commonwealth Ave. home for Christmas.